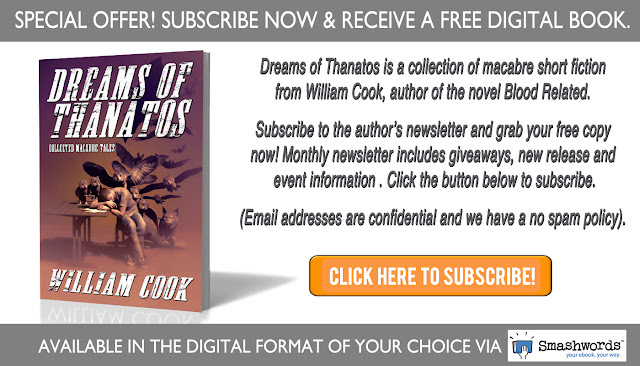 This story won 'Runner-Up' in the Parlor of Horror's 2016 short fiction awards and is part of my collection 'Dreams of Thanatos' - now available to all new subscribers for free - click on image below to download your copy. I love your criticism both received and rejected statement! Great piece of work, but then again, you know how much I value your work!